The unveiling of the “classic” jerseys at Portage and Main. 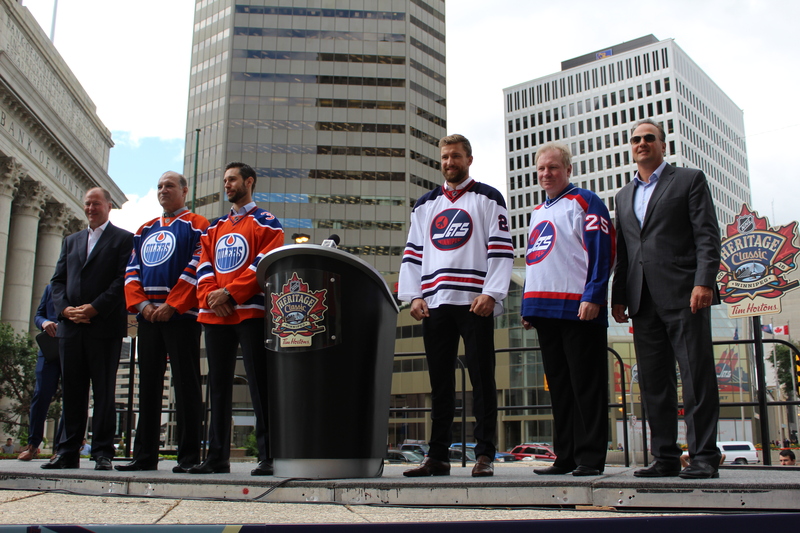 Left to right: Kevin Lowe, Dave Semenko, Cam Talbot, Blake Wheeler, Thomas Steen and Dale Hawerchuk. The Academy Awards have been drawing Hollywood’s elite since 1929. The Santa Monica Looff Hippodrome on the Santa Monica Pier. Los Angeles has been home to the Academy Awards ever since the very first ceremony was held on May 16, 1929 at the Hollywood Roosevelt Hotel. Eight Oscar trophies were handed out that night, including one to “Wings” for Outstanding Picture. In the ensuing decades, numerous Best Picture winners have filmed in L.A. Here are ten memorable Oscar-winning movie locations that are found in the City of Angels. The Merry-Go-Round on the Santa Monica Pier is one of the few surviving all-wooden carousels in the world. The Tower of London is surrounded by a park. The psyche of the people of Britain, who look nature square in the eye and meet her head-on, both playfully and domineeringly, speaks through her gardens. A model garden at a Royal Horticultural Society Garden at Wisley. It is late April, a little rainy, the clouds are interspersed with sunshine that falls like a benediction. The gardens are just awakening. Dazzling autumn planted bulbs impose themselves on the muted landscape. They are laid out in great sweeps of bright blue hyacinth, sunny yellow daffodils and lipstick red tulips. Itis clear that they are not native here, but their cheeriness is welcome just the same. Their lives will be short but showy.